Bile is a yellow-green, thick, sticky fluid that helps with food digestion (among other important functions). Specifically, it breaks down fats into fatty acids, which can be taken into the body by the digestive tract. Bile is made in the liver and stored in the gallbladder, a sort of storage sac organ attached to the underside of the liver. During meals, bile is released from the gallbladder (through a tube called the common bile duct) to the liver. The duct connects your gallbladder and liver to your small intestine or your duodenum. Your gallbladder is most likely to give you trouble if something, like a gallstone, blocks the flow of bile through the bile ducts. 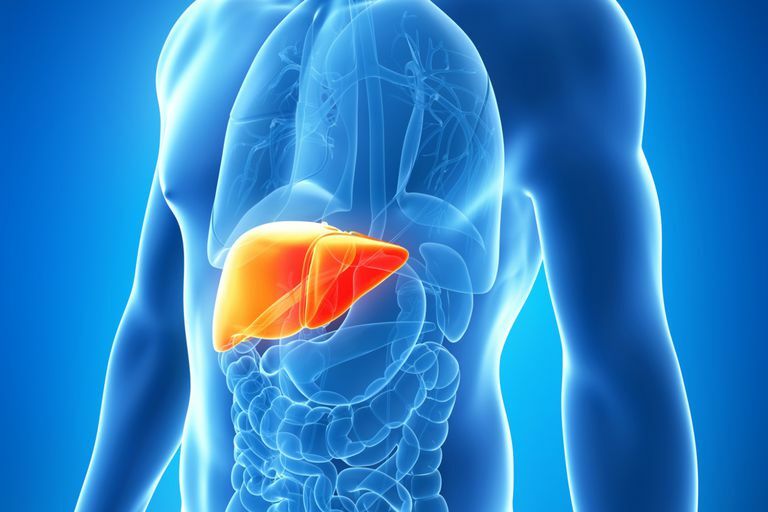 The liver produces about 500 to 600 milliliters of bile each day. The liver is an important organ of the body that is responsible for detoxification, metabolism, synthesis, and storage of various substances. The liver is crucial to life. Without it, a person couldn't live more than 24 hours. Many compounds make up bile, including salts (also called bile acids), water, copper, cholesterol, and pigments. One of these pigments is called bilirubin, which is responsible for jaundice when it accumulates in the blood and body tissues. Between meals, bile salts are stored in the gallbladder, and only a small amount of bile flows into the intestine. Food that enters the duodenum (the first part of the small intestine) prompts hormonal and nerve signals that cause the gallbladder to contract. As a result, bile flows into the duodenum and mixes with food and your stomach acids and digestive fluids from the pancreas, which helps the intestines absorb nutrients into your bloodstream. Bile is also responsible for getting rid of certain waste products from the body, such as hemoglobin from destroyed red blood cells, and excess cholesterol. Bile reflux occurs when bile backs up (refluxes) into your stomach and the tube that connects your mouth and stomach (esophagus). Bile reflux sometimes happens along with acid reflux (backwash of stomach acids into your esophagus). Unlike acid reflux, dietary or lifestyle changes don't usually improve bile reflux. Treatment involves medications or, in severe cases, surgery. Bile duct damage is generally considered a symptom of chronic hepatitis C. Hepatitis C and other types of viral hepatitis can impact the liver’s ability to produce bile, which can result in a host of digestive issues and, ultimately, inflammation of the gallbladder. But hepatitis isn't the only disease that an impact bile production and the gallbladder. Obstruction of the bile ducts, from either gallstones or gallbladder cancer, can actually mimic acute viral hepatitis. That said, ultrasound diagnostics can be used to rule out the possibility of gallstones or cancer. MedlinePlus. Bethesda (MD): National Library of Medicine (US). "Bile." MedlinePlus. Bethesda (MD): National Library of Medicine (US). "Gallbladder Diseases." Merck Manual. "Overview of Biliary Function." Atenodoro R. Ruiz, Jr., MD. "How Does the Liver Work?" National Institutes of Health. How Does Hepatitis Affect Digestive System Enzymes? What Should I Do I Have If I Have Jaundice?